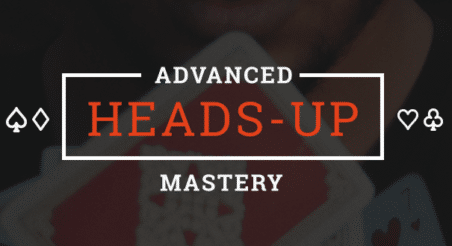 Free poker coaching with Doug Polk & Ryan Fee winners announced. Joe Ingram PLO strategy. New Poker Hands episode. Bankroll challenge updates plus AJP-takeover of Bryan Paris stream. With the North American holiday season now firmly behind them, Team Grind Nation members are ringing in the New Year in a number of unique ways as the poker community embraces 2017. Here is a look at some of the latest poker content Upswing Poker featured pros and collaborators have released within the first two days of January. Back in December, Team Upswing offered 1-Hour of Free Poker Coaching with Doug Polk or Ryan Fee for two, top contributors of the Lab Members Facebook community. Upswing Poker President Matt Colletta announced the winners early Monday morning on the community board while sharing the good news that a total of three winners were selected. Pot Limit Omaha is the first order of business in the New Year for Poker Life Podcast host Joe Ingram. ChicagoJoey gets things rolling with a play-by-play analysis of an epic PLO hand between high stakes players Patrik Antonius and Andrew Robl from 2009 in his latest YouTube offering. If No Limit Texas Hold’em is your true passion, check out the latest “Poker Hands” episode with Doug Polk as he walks viewers through a $165,000 pot between Phil Ivey and David “Viffer” Peat. The latest official Upswing Poker recap by contributor Jose Aguilar has Doug Polk’s $10,000 Online Poker Bankroll Challenge close to $900 thanks to some Punta Cana run-good that began in late October. Speaking of Online Poker Challenges, a number of fellow poker personalities took to the YouTube streets this past year to help grow poker by spreading the game through video content and social media platforms. One of those personalities is Team Grind Nation member Courtiebee (Courtney Gee), whose Spins Challenge is currently enjoying its own Upswing, up $9 to $34 as of Monday, January 2nd. For our readers who are interested in more detailed Spin & Go Poker Strategy, you can check out our longform read-along article featuring a COMPLETE TIMESTAMP TRANSCRIPT of a September 2016 video session between Doug Polk and Courtney Gee. Ryan got together with CardPlayer.com for an exclusive look into Early Position Strategy in an article last week authored by Erik Fast. In the video portion, Ryan Fee explains why playing tight from early position is an overall sound poker strategy. UFC 207 captured the attention of several high profile poker players over the holiday weekend who weighed-in on the latest Amanda “The Lioness” Nunes right cross which has elevated the 135 lb. UFC Bantamweight champion to stardom while apparently finalizing “Rowdy” Ronda Rousey’s historic run as a marquee UFC cage fighter. A deal could be in the works between Rousey representatives and WWE Chairman Vince McMahon leading up to WrestleMania 33. However, that notion was met with resistance Monday by Forbes Magazine contributor Anthony DiMoro who believes the WWE “can do better” while suggesting the Hardy Boyz would be a better choice for the wrestling company’s showcase Pay Per View event. The world’s #2 all-time online poker tournament cash leader Bryan Paris (SOURCE: PocketFives.com) is close to reaching the $10 million milestone and sent out a special Welcome 2017 tweet to his fans during this weekend’s Sunday Grind. Fatherhood has been great to Bryan, as evidenced by the moment he and Alex share while the time-tested poker pro races toward an eight-figure online tournament mark which has only previously been reached by Chris Moorman. There are two major live poker tournament series taking place this month. The PokerStars Championship Bahamas begins this coming Friday, January 6th, and will run until Saturday the 14th. Shortly thereafter, the 2017 Aussie Millions gets underway from Melbourne (January 11th-30th) with High Roller and Super High Roller events slated to make a return at the respective venues. We will have information on which Team Grind Nation members will be attending those live poker tournament series soon via social media.